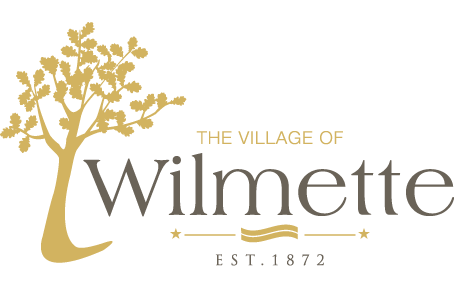 The Village of Wilmette is committed to maintaining your online privacy. This document explains the Privacy and Security Policy for www.wilmette.com. It also explains how we safeguard your privacy as a user of this Web site. It describes what types of personal information we collect and how we use this information. If you submit a question or comment that contains personally information, we will only use the information to respond to your request and analyze trends. If necessary, we may redirect your message to another government agency or person who is in a better position to answer your question. The Village does not sell or rent or otherwise distribute user information, including electronic mail addresses, to any outside company or organization, unless legally required to do so. This applies to information that may be collected on the Village’s site and on that of any third party with whom the city contracts to provide Internet related services. Increasingly, you have the option to do business with the city over the Web including making electronic payments for goods and services. Such transactions are allowed only under tightly controlled circumstances, where there are appropriate technological and other safeguards in place to protect financial and other sensitive data. We use industry standard practices to safeguard the confidentiality of your personal information. We will take all reasonable precautions to safeguard the confidentiality of such information, but may NOT be held liable for any injury caused by the disclosure of that information, whether caused by security breach, accident, inadvertence, or any other act resulting in disclosure. How we protect the information on our Web site The Village has taken several steps to safeguard the integrity of our data and prevent unauthorized access to information it maintains, including but not limited to authentication, monitoring, auditing, and encryption. Security measures have been integrated into the design, implementation and day-to-day practices of the entire operating environment as part of its continuing commitment to risk management. These measures are designed and intended to prevent corruption of data, block unknown or unauthorized access to our systems and information, and to provide reasonable protection of private information in our possession. This information should not be construed in any way as giving business, legal, or other advice, or warranting as fail proof, the security of information provided via the city’s Web site.